Just released! Build your dream home on this beautiful half-acre, level lot overlooking the fourth fairway on the Greg Norman Signature Golf Course at The Grove in Franklin. It’s a golfer’s paradise, whether you play the game or just enjoy watching. Not only is 6262 Wild Heron Way, #11, one of the largest lots on the course, it includes amazing views and is surrounded by picturesque, open space that gives you a country feel while still being in close proximity to the city. Listed at $284,900, don’t delay — this is a premier lot that’s just waiting for you to break ground. 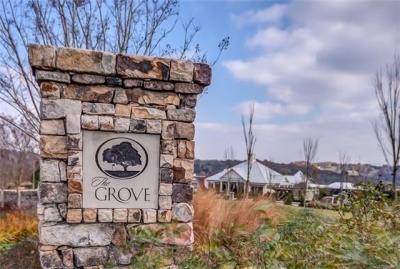 The Grove is a family-focused, luxury community located just off Arno Road in Williamson County, with easy access to I-65 and 840. Living at The Grove allows you to seamlessly combine all the benefits of country living — like horseback riding hiking, biking and fishing — while still enjoying the many benefits of living in Middle Tennessee. Both downtown Franklin and Nashville are just a short drive away. What’s more, at The Grove, your home ownership includes Private Club membership, with a clubhouse, pro shop, tennis, dining, pool and fitness for your family’s ultimate enjoyment and convenience. That’s truly an added value not available in most area neighborhoods. 6262 Wild Heron Way, #11, is zoned for College Grove Elementary, Page Middle and Page High schools. Enjoy the country, with all the benefits of the city, at The Grove. Call Paula Hinegardner with Keller Williams Realty to see this prime lot today, 615-615-1330.